Inverters change battery power into 120VAC household power to run appliances and equipment. They come in a wide range of sizes and power ratings from small 300 watt models to large units that can supply AC power for an entire home, business, boat or RV. Many of the larger inverters have built in battery chargers. When AC power is available from utility, generator or shore power, the internal transfer switch automatically switches the loads over & activates the inverters battery charger. This high capacity SMART charger quickly brings your battery bank back, to fully charged. Inverters are well proven in the marine, off-grid home, service vehicle and RV markets. 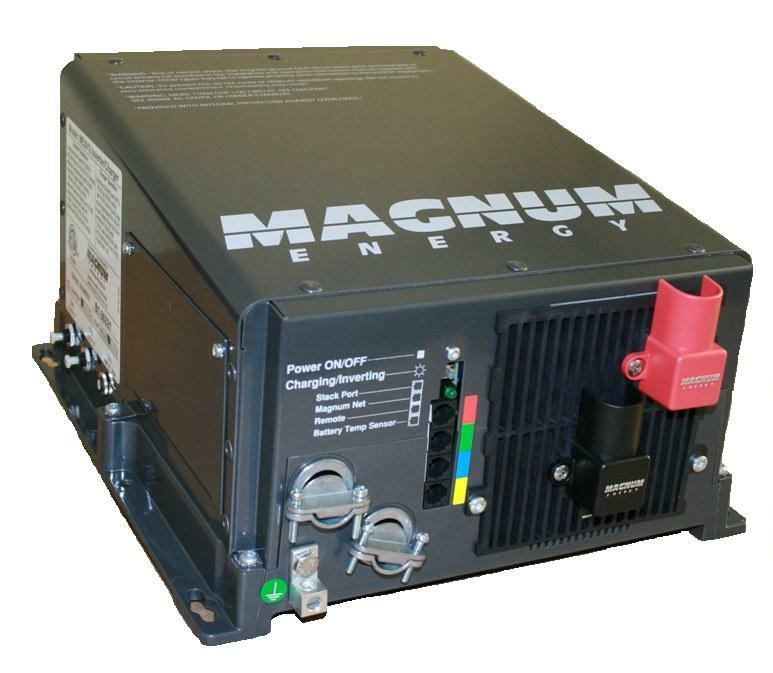 Designed for varied applications from 300 - 6000 watts, they produce silent, reliable AC power directly from your batteries, all with 90 - 95% efficiency!